Coastal Drilling’s pipe pile wall capabilities are the answer when site conditions are not conducive for large drilling equipment. This installation technique provides design engineers and owners with a cost effective solution to challenging site conditions such as: tight access areas, hillsides or restricted overhead. There are basically three types of pipe pile walls: pipe piles only (typically used for low support heights less than 10 feet), pipe piles with tiebacks (for heights greater than 10 feet) and pipe piles mentioned above with inner inserts to meet section modules to resist lateral loading on walls. 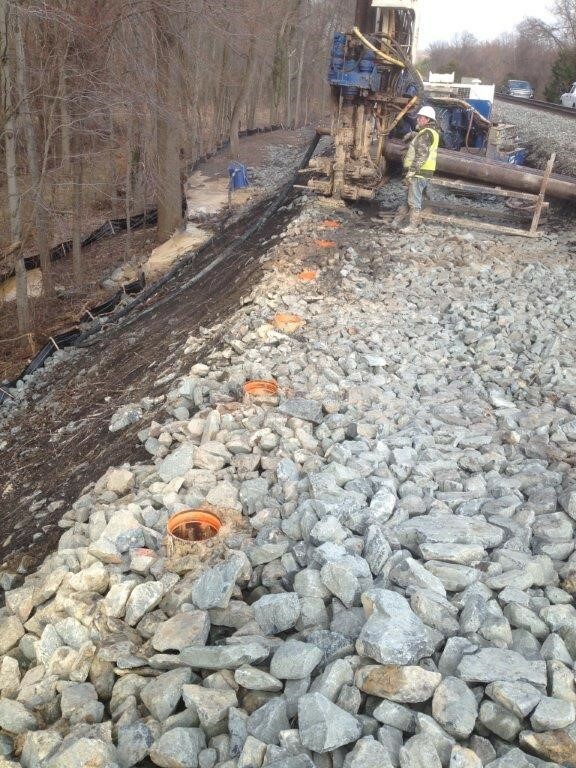 Pipe piles are installed using 10-foot sections, thus minimizing height restrictions. Beyond mobility advantages, pipe piles are also substantially less invasive than driven piles which are typically prone to high subsurface vibrations. If large excavation is required, the piles can be extended beyond the typical 10-foot sections. 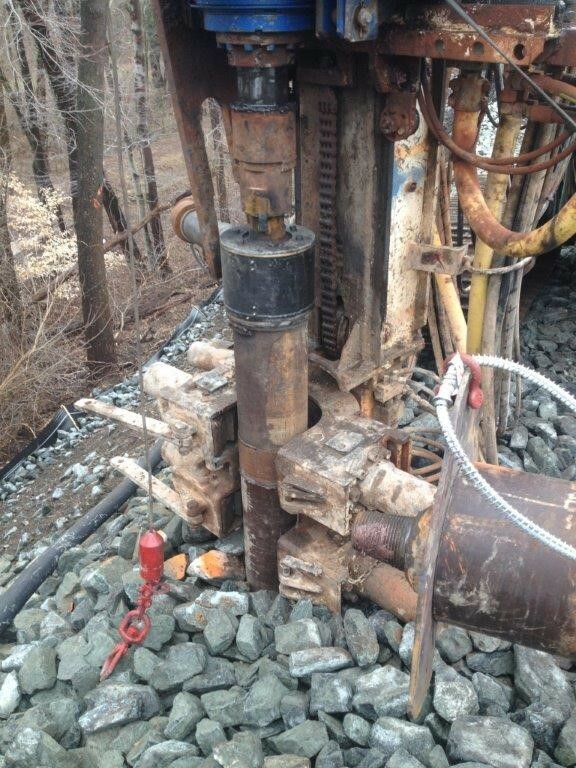 Additionally, tiebacks can be installed with the same drill rig. This minimizes mobilization costs and schedule challenges versus other types of wall systems. 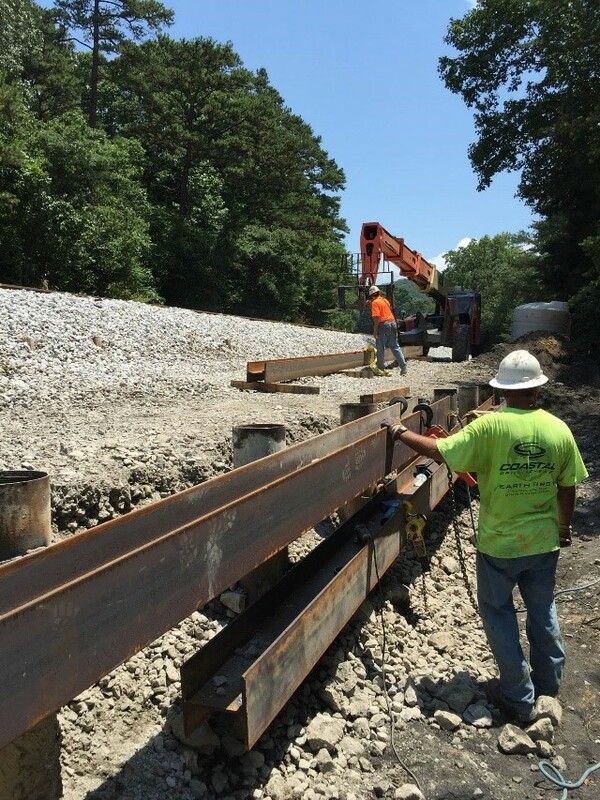 Pipe piles are utilized for permanent and temporary support of excavations and permanent support of slopes such as those along roadways and railroad right-of-ways. 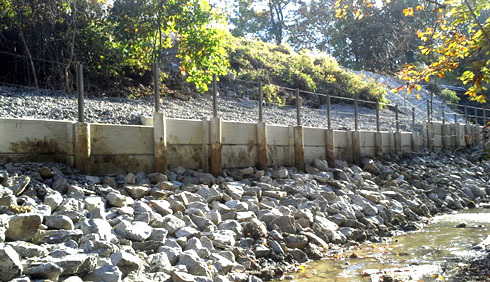 CDE’s support/retaining walls include engineered solutions utilizing small diameter drilled pipe piles, tieback anchors and lagging for support of excavations or challenging slope stability situations. 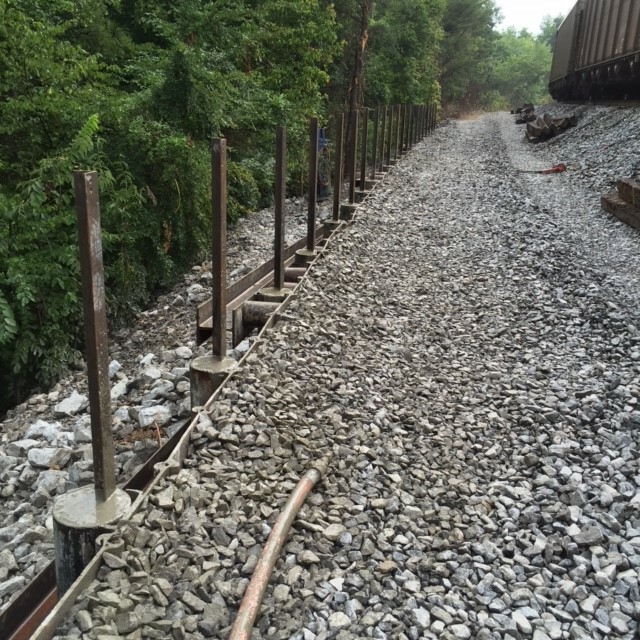 Pipe piles are capable of being installed in tight or remote areas, such as an existing slope failure along a roadway or railroad track. Pipe Pile wall applications can be as simple as new excavation in need of temporary support for construction access or stabilization of adjacent buildings. 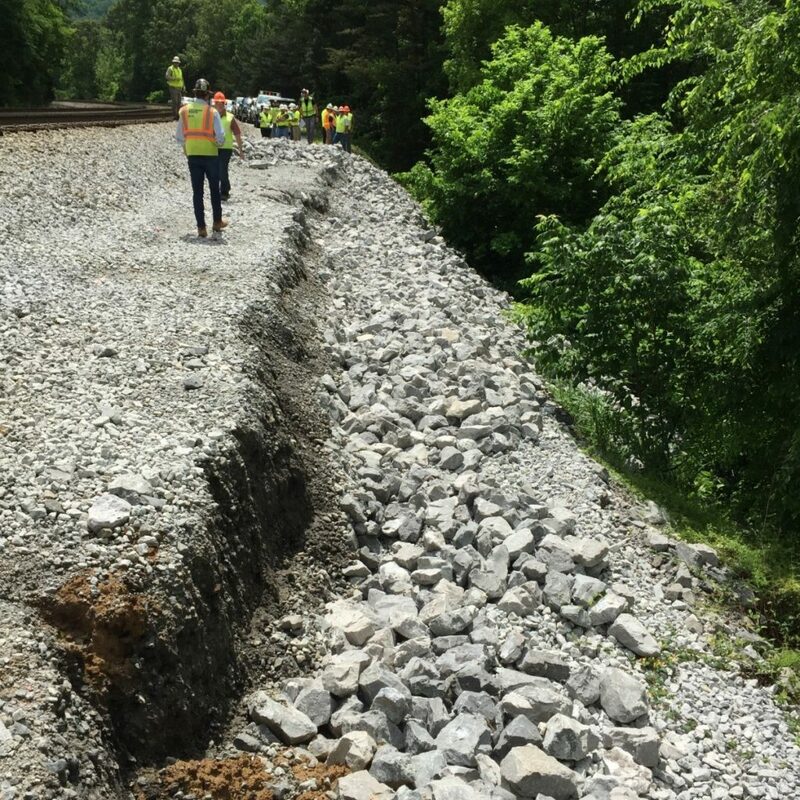 Another common use of pipe pile walls is to support existing slopes that are exhibiting signs of stress or have begun to fail along roadways or railroads. The mobility of CDE’s equipment allows easy access to the area of concern with minimal disturbance to the surrounding area. Railroads are particularly sensitive to any potential disturbance to the rail bed and are a strong advocate of these techniques. Additionally, if tiebacks are required, the same rig can install the pipe piles and tieback anchors.